YOU CANNOT BEAT THIS INCREDIBLE VALUE IN CANYON! THIS DESIGNER SHOWCASE BUILDERS SPEC HOME IN CANYON SPRINGS WILL BLOW YOU AWAY & IS THE BEST PRICED HOME IN THE DEVELOPMENT. THE HOME HAS ACCORDION HURRICANE SHUTTERS FOR THE WHOLE 2ND FLOOR. ENTERING YOULL BE IMPRESSED BY THE SOARING CEILINGS & CUSTOM MOLDINGS & MILLWORK THROUGHOUT. THE INCREDIBLE KITCHEN HAS 42 WOOD CABINETS WITH CROWN MOLDING, GRANITE COUNTERS WITH TILE BACKSPLASH & BRAND NEW S.S. APPLIANCES. THERES PLANTATION SHUTTERS FOR MOST WINDOWS. OUT BACK A LARGE COVERED PATIO OVERLOOKS A FENCED YARD WITH INCREDIBLE LAKE VIEWS. 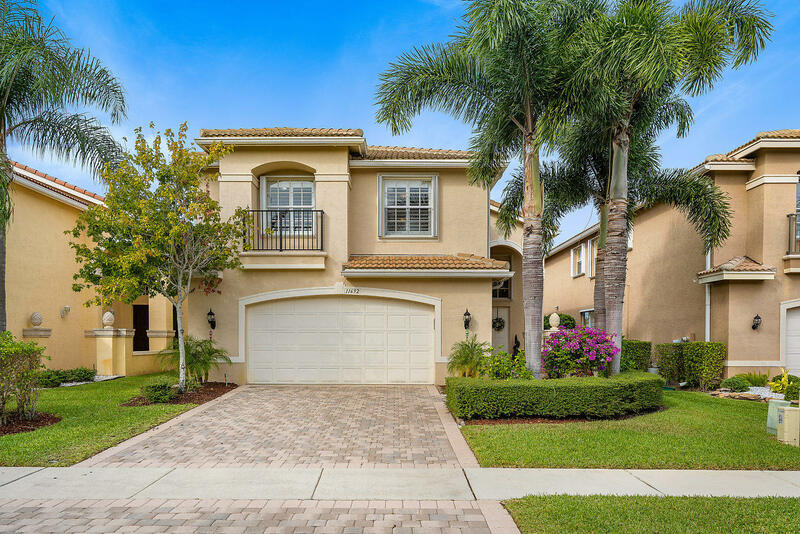 THE CUSTOM WROUGHT IRON STAIRCASE LEADS TO THE LARGE MASTER SUITE WITH 2 WALK-IN CLOSETS WITH BUILT-INS & THE LUXURIOUS MASTER BATH HAS A SPA SHOWER WITH DUAL HEADS & BODY JETS & A 14 JET SPA TUB.